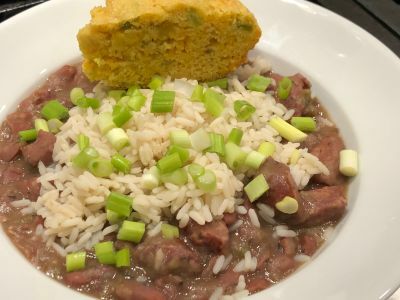 When I first moved to Houston I made a recipe for red beans and rice that I found on the back of an Uncle Ben's Brown Rice box. It was made with canned ranch style beans and had some bacon and onion in it and was served over brown rice. 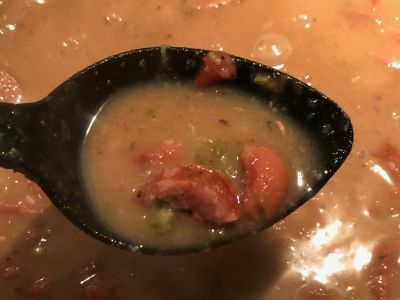 Actually I thought it was pretty good and someone told me they would have to share the recipe with their friends in New Orleans. 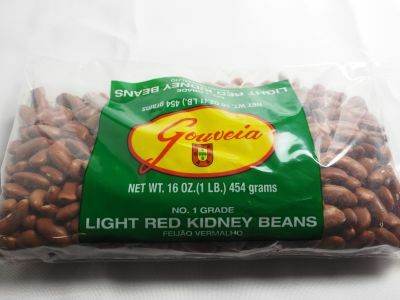 I was surprised that red beans and rice was actually a thing because I had never heard of it being from New England. 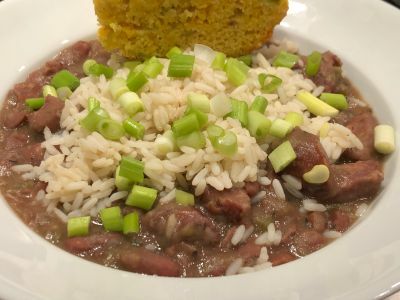 So whenever I saw it in a restaurant I would order it and got to learn what red beans and rice actually was as a dish. Nothing like my original version although that was certainly easier to make and in its own way was actually pretty good. One of my favorite versions was served at Treebeard's Restaurant in downtown Houston so I started looking at recipes and trying to duplicate it. 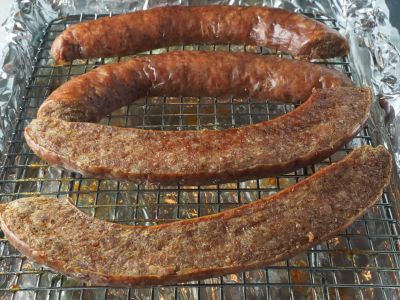 It is most often made with smoked sausage and I always make mine with sausage which really should be smoked sausage from Texas or Louisiana. I finally settled on this recipe and have not changed it in quite a while. It is a rib sticking dish that always satisfies and has a tremendous depth of flavor. 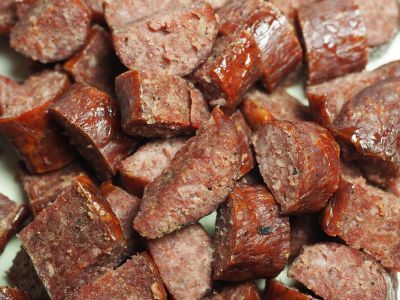 And if you are from somewhere outside of Texas or Louisiana you can certainly try it with whatever smoked sausage is local to your area. 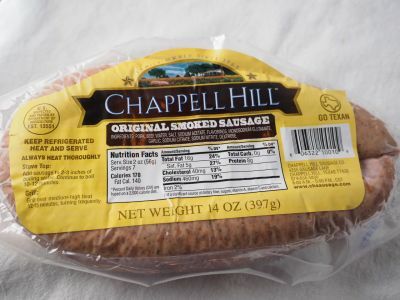 In Boston that would be kielbasa although I still order sausage about once a year from Chappell Hill Sausage Co. in Chappell Hill, TX which is about 50 miles northwest of Houston. So I encourage you to give it a try and let us know what you think and how you change it to make it your own. Enjoy! 1. 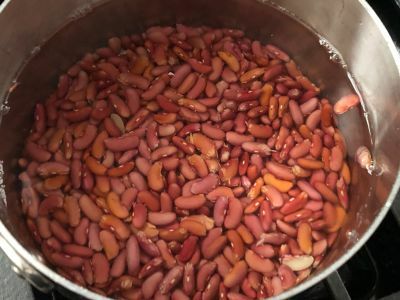 Wash and drain the beans and place in a large heavy stock pot and cover by about 2 inches with water (about 3 quarts of water). Bring to a boil, cover, turn off the heat and let stand covered for one hour. Drain the liquid after the hour and add the beans to a heavy stock pot. 3. 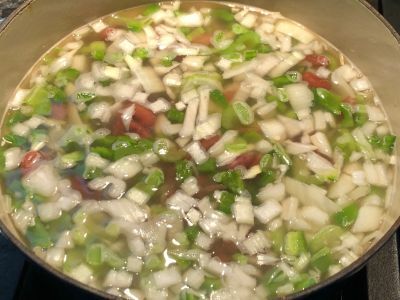 Add the stock, water, onions, celery, bell pepper and bay leaf to the pot with the beans. 4. Bring the pot to a boil. Reduce heat, cover and simmer for 1 1/2 hours. Do not stir more than necessary but do not let it stick to the bottom of the pot either. 5. Once that is going, slice the sausage in half lengthwise and place on a rack over a foil covered baking sheet, cut side down. Bake for 15-18 minutes or until the sausage is crispy to render the fat from the sausage. And don't worry, the sausage will plump right back up as soon as you put it in the liquid. 6. 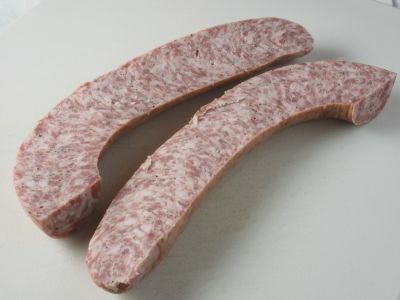 When the sausage is done, cut it in 1/2" slices and add to the pot. 7. After the 1 1/2 hours, stir in the thyme, oregano, garlic powder, and the cayenne, white and black pepper. 8. 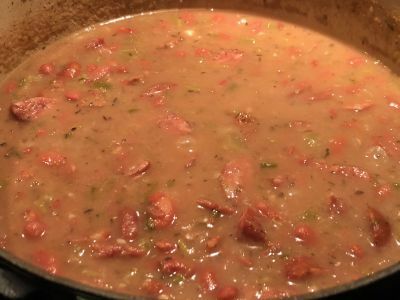 Continue to simmer the beans uncovered for 45 minutes or more until beans are tender and thick. 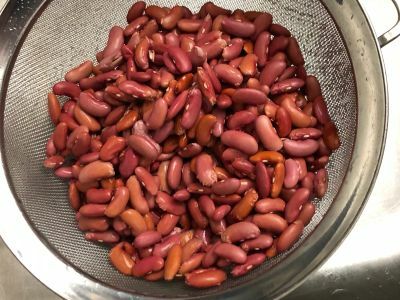 As the beans get softer, you can mush some of them with the back of your spoon to make it thicker if you want but it should thicken nicely by itself. 9. Remove from the heat and let rest for 15-30 minutes before serving. Serve over rice and top with the green onions (scallions for anyone from New England) and your favorite hot sauce. And don't forget to make some Jalapeno and Cheddar Cornbread to serve along with it. It is the perfect match. Enjoy!